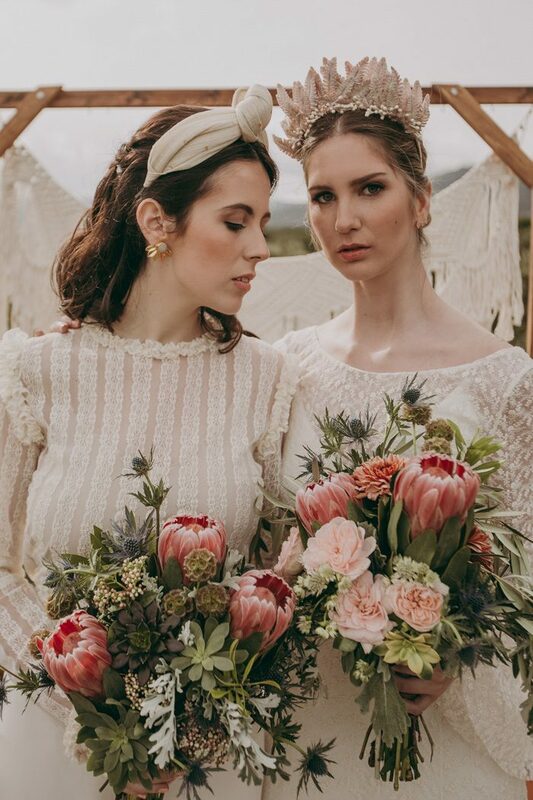 Today we are featuring a fantastic rustic boho elopement shoot that is romantic, wild and moody and is sure to inspire you with a lot of details, let’s take a look at it. 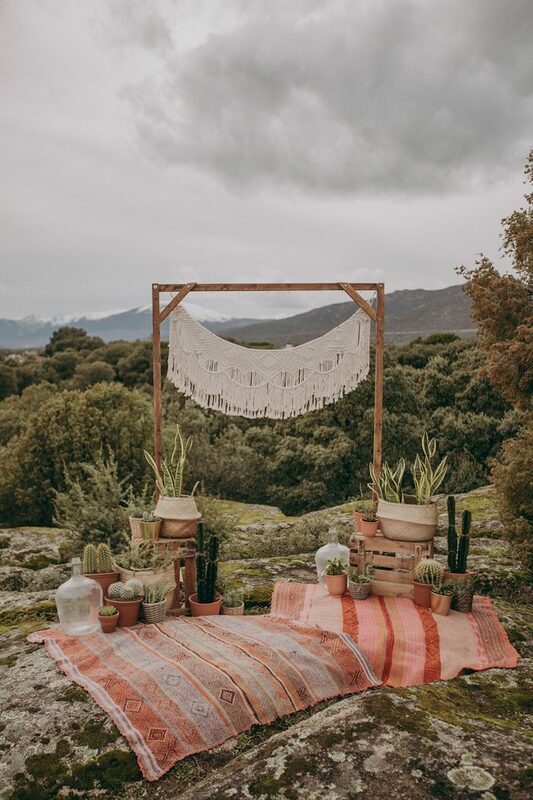 The outdoor adventure took place in Madrid, where the team created a boho-inspired ceremony area with a wood and macrame backdrop, textured pillows, potted cacti, and two antique rugs to tie the look together. 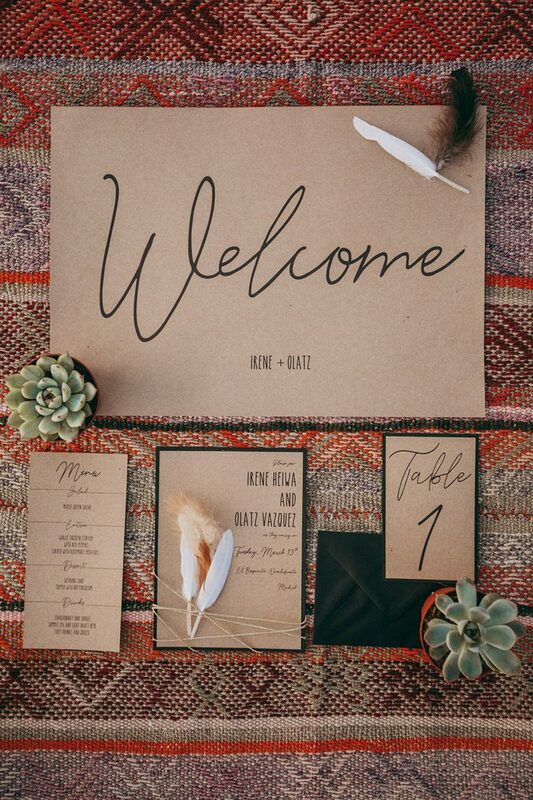 The wedding stationery was done with kraft paper and black calligraphy for a rustic touch. 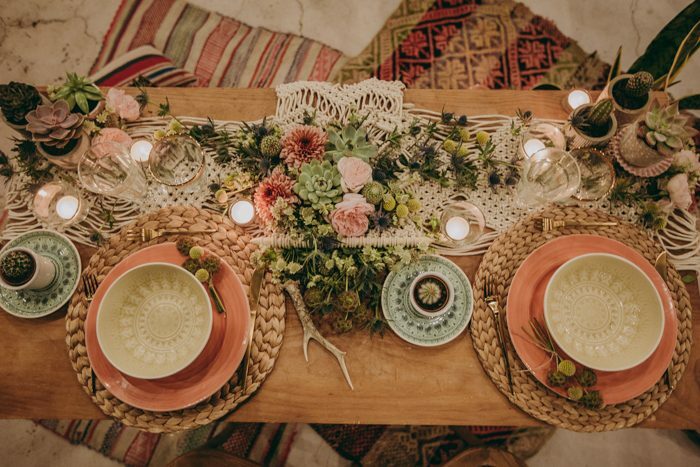 For the al fresco reception, they brought in pretty blooms and succulents to add freshness alongside the weaved chargers, colorful pottery, mismatched glasses, and macrame runner. 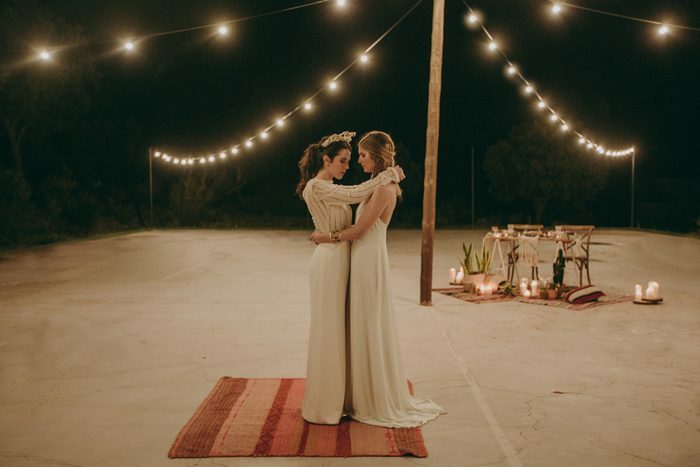 I love the muted colors that look relaxed and feel like a fall desert weddings: desert weddings are very popular now. 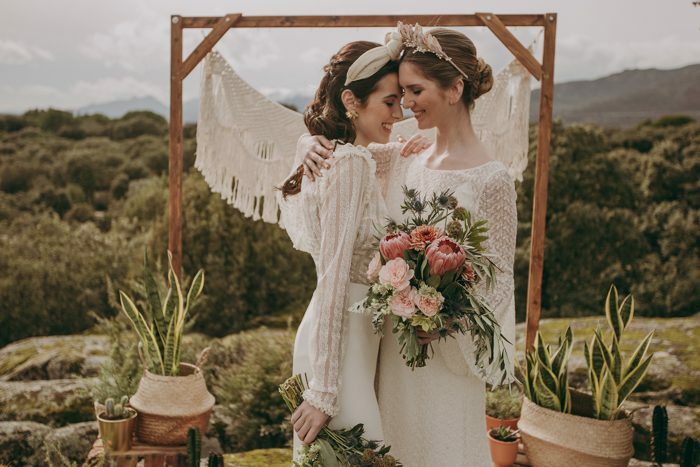 One bride was rocking a romantic vintage-inspired lace dress with an illusion neckline, an open back with a button row and bell sleeves plus a feather and pearl headpiece. 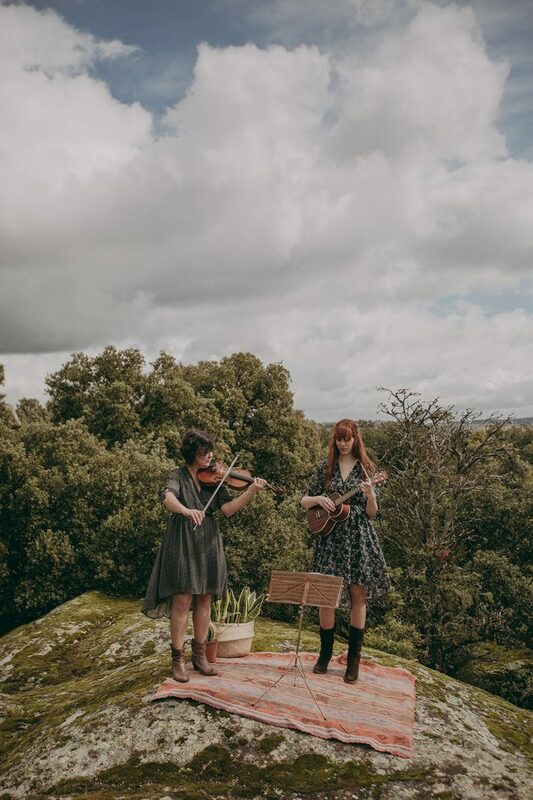 The second bride was wearing a chic separate with a lace ruffled long sleeved top and plain trousers, her headband was a retro one. 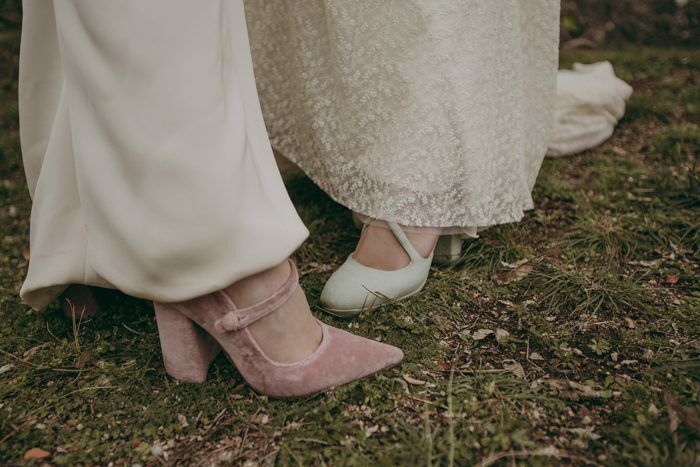 one girl was wearing mint shoes, and the second one was rocking pink ones for a muted colored touch. 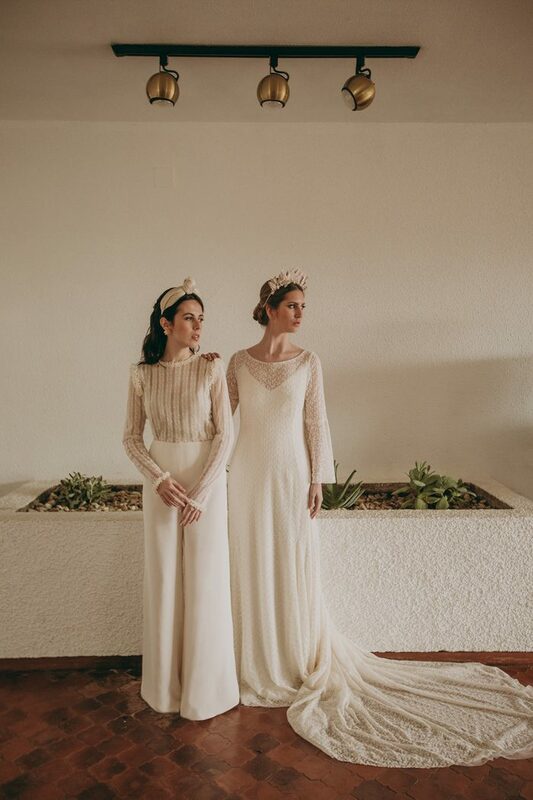 The first bride took off the lace overdress for the reception and was wearing only a simple slip gown. 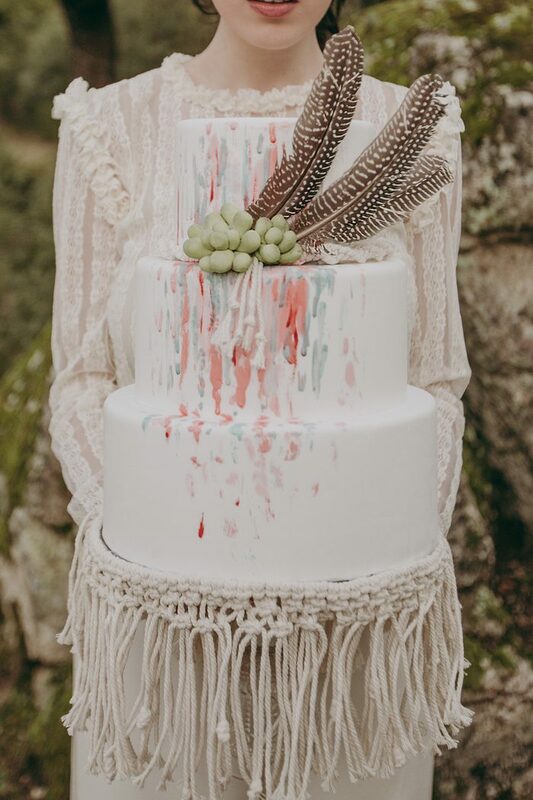 The wedding cake was done with bright watercolor, fringe, succulents and feathers for an ultimate boho chic look. 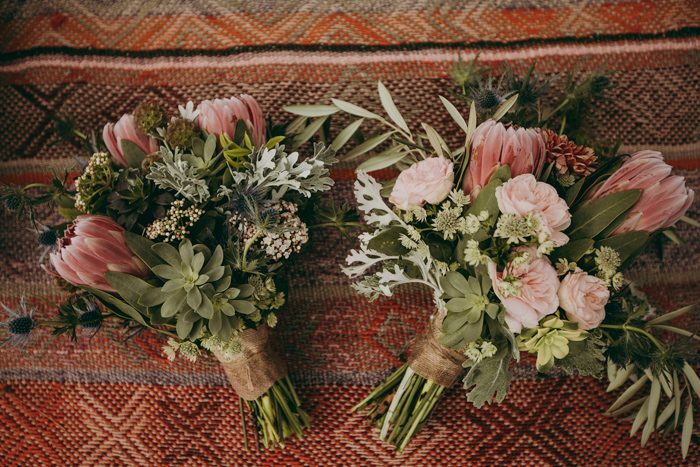 Enjoy the trendy looks!